We all know that when we hit our #BlissfulForties we also hit peri-menopause and menopause at some point. You might remember I sent out an email about a month ago if you had any questions about peri-menopause and menopause? I received your questions – Thank You! 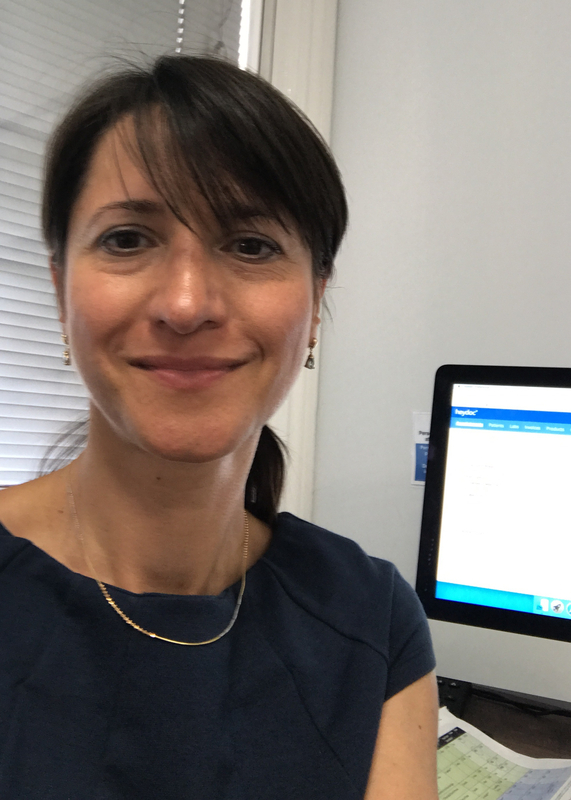 I had a chat with Dr Theodora Kalentzi of Medical Prime and she was kind enough to answer all of them – so keep reading! 1) Am I experiencing symptoms of perimenopause or menopause, and what’s the difference? There is a variety of symptoms you may experience in the peri- and menopause. If we want to be more accurate we should refer to peri- and post- menopause because menopause means the last period a woman has in her life. The phase leading to this last period, which is when the ovaries start producing less hormones, is called perimenopause and can last a few years. Once the natural periods stop completely this is when you reach the menopause and the phase following this is called postmenopause. Does this matter in terms of the symptoms you may experience? Not much really. Symptoms may be the same, however, some tend to get better and others worse after the menopause. So what symptoms would you expect to have? They can range from hot flashes (or flushes), night sweats, poor sleep, tiredness, emotional changes such as anxiety and mood swings, to mental symptoms often prescribed as brain fog, sexual problems including low libido and vaginal dryness and bladder symptoms such as urge to go or getting up at night to pass urine. Take a look at the menopause ‘symptom chart’ attached which I use at the clinic, to get an idea of the range of symptoms. You may experience very few, some or all of them and the severity may vary between individuals. The main difference between the perimenopause and postmenopause or let’s call it the menopause, as most of you are familiar with this term, is that during the perimenopause you still have your periods whereas when you have reached the menopause, there are no more periods. 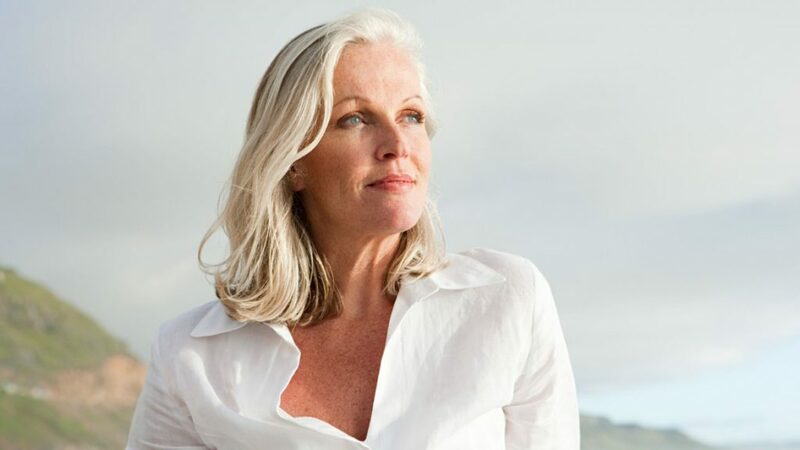 Expect your periods to change when you are in the perimenopause, they may become less frequent or more frequent for a while, heavier or lighter, longer or shorter. It is very unlikely to be in the perimenopause and have your periods working like clockwork or have no changes in the bleeding pattern or volume. 2) How long should I expect these symptoms to last? Every woman is different and we can’t really predict how long the symptoms may last for. On average, symptoms may last 4 to 7 years, although some of you may have them for only a year and some for more than 10 years (or even for life!). However, the range and severity may change throughout your life and other factors may play a role, such as lifestyle, having other illnesses and taking medications. 3) Am I too young for the menopause? The average age for the menopause in the UK is 51 years of age. This means that women may reach the menopause earlier than 51 or later, and the range usually spans between 45 and 59. Having the menopause between 40 and 45 years of age is classified as early menopause. Some women experience the menopause before the age of 40. This may happen because of medical treatments such as chemotherapy or having your ovaries removed. It may also happen because of other medical conditions or unknown causes and this is then called premature ovarian insufficiency (POI). 4) Could my symptoms be caused by a condition other than menopause? Many of the symptoms can occur in various other conditions and this is why it is important to see a doctor for a thorough assessment of your symptoms, previous medical history, treatments you have had and/or are taking and your family history. At times there may be a need for a blood and/or other tests. See my videos (visit www.medicalprime.co.uk ) on what to expect on the initial consultations and what blood tests, if any, you may need to have. 5) Should I be seeing a specialist, such as a gynaecologist? Who should the specialist be? This could be either a gynaecologist or GP, with a special interest and training in menopause care. 6) If my symptoms are interfering with my ability to get a good night’s sleep or impairing my quality of life, are they severe enough to warrant treatment? Definitely. Poor sleep may typically lead to tiredness during the day, loss of concentration and irritability which may affect all aspects of your busy life. To give you an example, many women tell me how they may opt to work part time or not apply for a job they like or are afraid they may lose their job because they have lost their confidence and stamina. These are serious symptoms that you should not have ‘to put up with’. 7) What causes hot flashes and night sweats? What are known risk factors for hot flashes? Are some women more likely than others to get them? Hot flashes and night sweats are the most common symptoms of the menopause affecting around 75% of women. The mechanism that causes these symptoms is not fully understood. It seems to relate mainly to changes to our temperature thermostat which is located in a gland in our brain called hypothalamus. Low oestrogen levels are key in this process. However not all women with low oestrogen will develop the symptoms, neither will they experience the symptoms in the same severity or frequency. 8) How will menopause affect my health over the long term? Nowadays there is increased recognition of the long term effects of the menopause on women’s wellbeing. Chronic lack of oestrogen could contribute to various long term conditions including the thinning of your bones, known as osteoporosis, development of metabolic syndrome and higher risk of heart disease and strokes, and urinary symptoms such as urge incontinence. 9) Do you recommend any type of treatment for my menopause symptoms? 10) What are the best treatments for menopause symptoms? There is no one treatment that can be labelled as the best. Menopause treatment should be tailor- made and personalised to work the best. In my view the best treatment is the one that manages the symptoms that affect you the most, gives you no or tolerable side effects, suits your lifestyle and preferences, is the safest for you, evidenced based and regulated. 11) Could a therapist help me cope with my mood swings? Cognitive behavioural therapy is a type of therapy that has been recognised in recent years as a helpful therapeutic approach for low mood and/or anxiety related to menopause. My suggestion would be to approach a therapist with an interest and experience in menopause for a more ‘whole body system’ approach. 12) Are relaxation techniques, such as breathing exercises, meditation, and biofeedback training, effective? Nowadays the aim when managing the menopause is improved health and wellbeing rather than focusing on improving symptoms in isolation. Although there is not much evidence in terms of clinical trials for the effectiveness of the various relaxation techniques, I tend to support and encourage engaging with such techniques and mindfulness as part of a holistic approach to menopause and wellbeing. 13) How should I explain my condition to my spouse, family, and friends? What, if anything, should I say to my boss and co-workers? The menopause has been a taboo for so many years and women have been suffering in isolation. Nowadays it is encouraging to see celebrities talking openly about their menopause experience, media taking an interest in women’s health and work bosses starting to recognise this as an important health matter. My advice to you is to start talking about it; you do not need to worry about explaining. You may be surprised how people around you, whether family or colleagues, might be relieved to hear about it because they didn’t know how to approach the subject or they were worried about how you would respond to it. Talking to your work colleagues and boss is also about considering solutions and adjustments so that you continue performing and enjoying your work whilst you are going through the menopause transition with all its effects on you. One of my patients said to me how she would start work after 10am because she used to have the worst hot flashes first thing in the morning. Take home message: People are more willing to help and understand than you think, just start talking and be open to their suggestions too. 14) How is the menopause likely to affect my relationships, and what can I do to improve my situation? The menopause may affect you in different ways and every woman has her own unique experience. How it may affect your relationships will depend on your symptoms and their severity. If you experience mood swings, irritability or depression, these may affect your relationship with your partner, family members, friends or colleagues. You may experience low libido and/or vaginal dryness which may affect your relationship with your partner or you may have brain fog and lack of concentration, which may affect your work and relationship with colleagues. The good news is, there are various treatments to manage the symptoms and a discussion with a doctor experienced in menopause will help you find the one best suited to your needs. In addition, having a healthy lifestyle with a balanced diet, regular exercise, limited amount of alcohol, no smoking, enough rest and spending quality time on you, will help maximise your wellbeing. 15) Do I need to make any changes in diet or exercise or how much I rest? Having a healthy balanced diet, regular cardiovascular, core strengthening and weight bearing exercise and adequate rest are really important throughout your life. If you didn’t use to pay much attention to these before and you have now reached the menopause, there is a lot to benefit from by starting these changes now. With life expectancy taking us into our late 80s and more, you may spend a third of your life in the menopause. This is also the period where other chronic conditions may emerge, such as heart disease, high blood pressure, osteoporosis, diabetes to name a few, which makes the necessity for lifestyle changes even higher. So the answer is, yes, this is the right time to reflect on your diet habits, your physical activity and rest, if you want to maximise your wellbeing over the next 30-40 years or so. 16) Can spicy foods, warm temperatures, or stress trigger hot flashes? Should I try to avoid them? Spicy food, warm temperatures and stress may all trigger hot flashes. However, not all women will respond the same to these triggers. So should you be avoiding them? This is about exercising common sense; a trial and error approach rather than clinical evidence-based. My advice is to get familiar with your triggers and continue enjoying life so that you don’t deprive yourself from your favourite spicy dish or an exotic holiday because of fear. Stress is a bit more complicated, some stress is needed in our life but having too much and too often or continuously I’d say is better avoided, not only for those hot flashes but for a lot of other health benefits too! 17) Can alcohol or coffee trigger hot flashes? Can drinking alcohol, smoking, or using drugs affect menopause symptoms in other ways? Alcohol and coffee may trigger hot flashes and, more importantly, palpitations which are commonly linked with hot flashes and these can cause a great degree of anxiety when they appear. Palpitations linked to hot flashes, although alarming, are not usually dangerous, whereas with alcohol and smoking can be on the medium to long term. There is more evidence nowadays suggesting the link of alcohol and smoking with increased risk of breast cancer. Additionally, alcohol and smoking can also increase the risk of osteoporosis and cardiovascular disease, which is the risk for strokes and heart attacks. What about using cannabis? There has been a lot of publicity and media interest in recent years on the use of cannabis as a painkiller and in certain medical conditions. However, there is a lack of research on its effect on menopause and I can’t see much appetite in the medical field for considering any trials in the near future. Some websites offering help with the menopause highlight the benefits of using cannabis for various menopausal symptoms especially poor sleep and anxiety. However, cannabis is illegal in the UK and not recommended in any way by the British Menopause Society, the UK professional body on the speciality of Menopause. 18) Would exercising more make my symptoms worse, or would it help improve them? What is the evidence on exercise and the menopause? Actually there have been some studies, which although limited, do suggest that women who are active suffer less from menopausal symptoms. Aerobic exercise appears to improve psychological health, mood, difficulty sleeping and quality of life in women with hot flashes and night sweats. Low intensity exercise such as yoga may also help with hot flashes and night sweats and psychological symptoms. However, sustained regular aerobic exercise such as running or swimming seems to be the most effective. From experience I would also suggest you try doing something you really enjoy, from dance classes to walking, from joining a fitness class to even using Wii Fit Plus. Anything that gives you enjoyment, but is not a chore. 19) Should I do Kegel exercises to help manage or prevent incontinence? Kegel, or pelvic floor exercises, when done correctly, can build up and strengthen the pelvic floor muscles, so they can help you control your bladder and bowel. Like any other muscles in the body, the more you use and exercise them, the stronger the pelvic floor muscles will be. There is also the Squeezy NHS Pelvic Floor app, an award winning application developed by an NHS team, which you may find helpful. 20) Can you recommend any books, magazines, organizations, or online resources that focus on perimenopause or menopause? Women’s Health Concern(WHC), the patient arm of the British Menopause Society, which provides an independent service to advise, reassure and educate women of all ages about their gynaecological and sexual health, wellbeing and lifestyle concerns. Menopause Matters, an award winning, independent website providing up-to-date information about the menopause, menopausal symptoms and treatment options. The Royal College of Obstetrics and Gynaecology (RCOG) offers an information hub for women around the menopause and beyond. Amongst her many clinical interests, Theodora also has a particular interest in women’s health. She holds a postgraduate diploma in Obstetrics and Gynaecology and has obtained the advanced certificate of special skills training in menopause care. She is an all-rounder with a wealth of experience in medical management and professional development, having held senior management roles alongside her clinical work. She enjoys traveling, snowboarding, swimming, reading, wine tasting, expanding her horizons via TED talks and above all making a difference.